Much of what passes for Christianity in our day is really nothing more than self-help jargon and patriotism that has been baptized in a thin veneer of Christian-sounding language. This has led to anemic preaching, large but lifeless churches, and a Christian subculture that is ill-prepared to declare and defend the church of Jesus Christ. 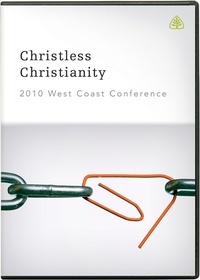 This series of lectures from Ligonier Ministries’ 2010 West Coast Conference featuring Michael Horton, Peter Jones, John MacArthur, and R.C. Sproul analyzes this problem and provides solutions to help the church put Christ back at the center.